Raising money for a worthy cause has traditionally been restricted to localized areas, but this is no longer the case due to the easy accessibility of the Internet. In fact, you can use DonationTo in order to reach out to people around the world about any type of campaign, including a charity run. We will help you maximize each contribution that you receive, and you will be able to keep 100 percent of the money that is donated. Additionally, we will enable you to avoid paying for any extra credit card processing fees. There are many other perks associated with our race crowdfunding platform. For example, donors will be able to make a contribution 24/7 via PayPal or WePay from any web enabled device. We will also give you access to our social networking integration tool and one click email feature. As an added bonus, you do not need to have any previous fundraising experience to get started. Our user-friendly platform does not require any special technical skills, and most people are able to launch their page within five minutes. 1. Choose an Affordable Marathon Fundraising Site – Many people become confused by all of the crowdfunding options that they have online. Unfortunately, some websites claim that they are free, but the reality is that a certain percentage of each donation will be withheld to pay for your usage of the site. For example, it is very common for online donation platforms to retain 5 percent of each contribution. This adds up much more quickly than the DonationTo monthly paid account structure, so it is definitely best to use our website instead. Our least expensive paid option will only cost you $9 per month. You can get some perspective on how much money this will help you save by imagining that you need to raise $10,000 during the next 90 days. Our Basic Fundraising paid account will cost you $27 during this time period, but a site that keeps 5 percent of each donation will charge you an astounding $500. This comparison makes it easy to see why thousands of people worldwide turn to us as their preferred crowdfunding website. 2. Provide Extensive Details About the Charity Run – You might be tempted to skip over the details about the marathon when you fill out your crowdfunding page, but this would actually be a big mistake. 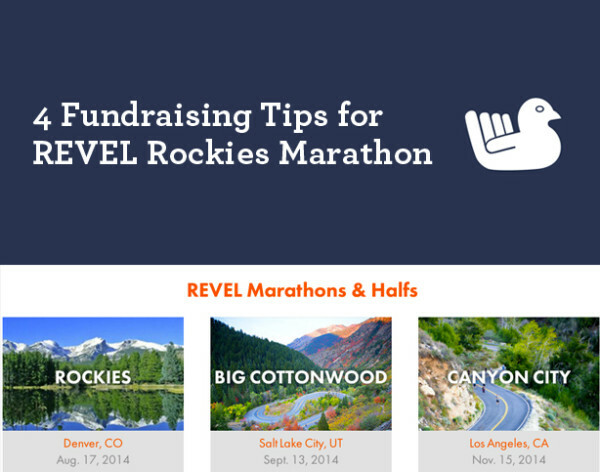 After all, many of your supporters will want to know that the REVEL Rockies Marathon is held in Denver, Colorado. You are also likely to receive additional support if you tell people when the race starts and what time you expect to be finished. For example, people with this information will be more likely to come to the charity run, and this will give you an extra opportunity to ask for contributions. 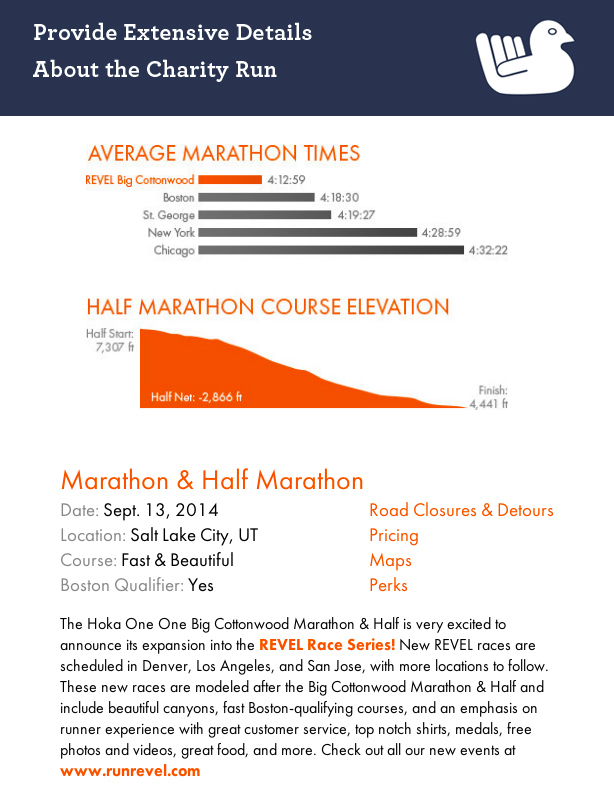 We recommend listing all of the relevant details and providing the link to the marathon’s website so that people can obtain more information. 3. 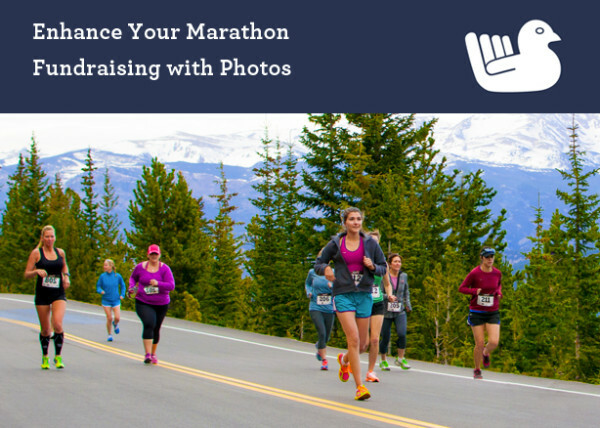 Enhance Your Marathon Fundraising with Photos – Each of our users has the opportunity to utilize our unlimited picture. This makes it easier to share the story of your campaign because people want to see relevant photos in addition to written text. There are many examples of the importance of harnessing the visual nature of the Internet, and you can easily find several causes that have gone viral due to an eye-catching image. We recommend letting people see your training routine via photographs, and you should also upload any pictures that show you participating in previous races. This will increase donor confidence, and that is the best way to hit your goal. It is also important to have someone at the marathon that can capture images of you participating and celebrating after with family and friends. These photos will be perfect for follow-up with your contributors, and they will give you a good resource to help spread awareness of your next campaign. 4. Sharing Images Via Email and Social Media – After you have taken the time to organize and upload pictures to your fundraising page, you should continue spreading the word by posting the same images to your social media profiles. This is actually one of the best methods for raising awareness, and studies indicate that email can be even more beneficial. If you consider how many charitable causes you see images of on Facebook, Twitter, LinkedIn and Google Plus on a daily basis, you will easily be able to understand why this is such a vital step in your efforts to end up with a fully funded campaign. We recommend posting a new image to each of your social media pages every day, and you should encourage people to interact with them by asking for likes, comments and shares. Another important way to connect with your supporters is by sending out an email every other day that contains at least one relevant picture and an update about your campaign. Race crowdfunding methods such as having a bake sale have become antiquated in the Internet age. Instead, each of your supporters can now make an online donation using their debit or credit card. This is much more convenient, and it will help you reduce your expenses. After all, a DonationTo paid account starts at the low price of only $9 per month, and this is less expensive than paying for the necessary materials for a local fundraiser. We also make it easy to keep 100 percent of the money that you raise, and we will enable you to avoid paying for any extra credit card processing fees. Our site provides access to many proven tips and tools to enhance your ability to meet your goal. Keep in mind that your supporters will want to know details about your charitable cause and the marathon that you will be participating in. Additionally, you should take advantage of the visual nature of the Internet by uploading photos to your fundraising page and sharing them via social media and email.